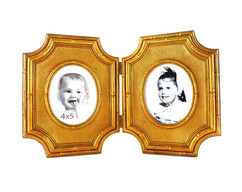 A late 1930s to early 1940s gold tone picture frame with a wide, ornate, white washed rose trellis border reminiscent of French Provincial styling. In fantastic vintage condition for its age. 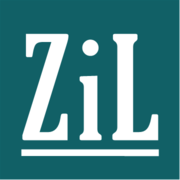 No visible pitted rusting or adverse metal deterioration of any type. The red felt backing does show some age-related wear and fading as expected, but the easel is still in fine working order. 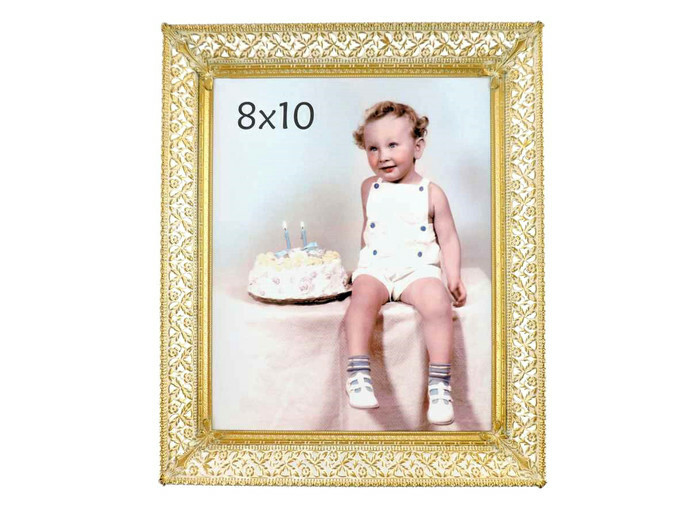 Most of the 8x10 frames listed on ZiLvintagePhoto will display in either the vertical or horizontal position. 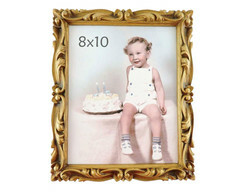 The frame in this particular listing, however, will only display as an 8x10 (vertical). 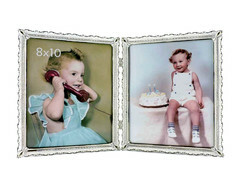 Frame does have thicker glass which was synonymous with quality photo frames of the period. 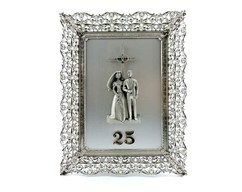 Overall measures approximately 9 3/4 inches wide across the front by 11 3/4 inches tall. Unpackaged weight is almost 1 3/4 pounds.